This kit provides basic components for the quantitative determination of phospho-S6RP (Ser235/Ser236) in human, mouse, rat, and non-human primate whole cell lysates. Base kits generally include only MSD plates coated with the capture antibody, SULFO-TAG-labeled antibody, and MSD proprietary read buffer. (See product insert for a list of kit components). 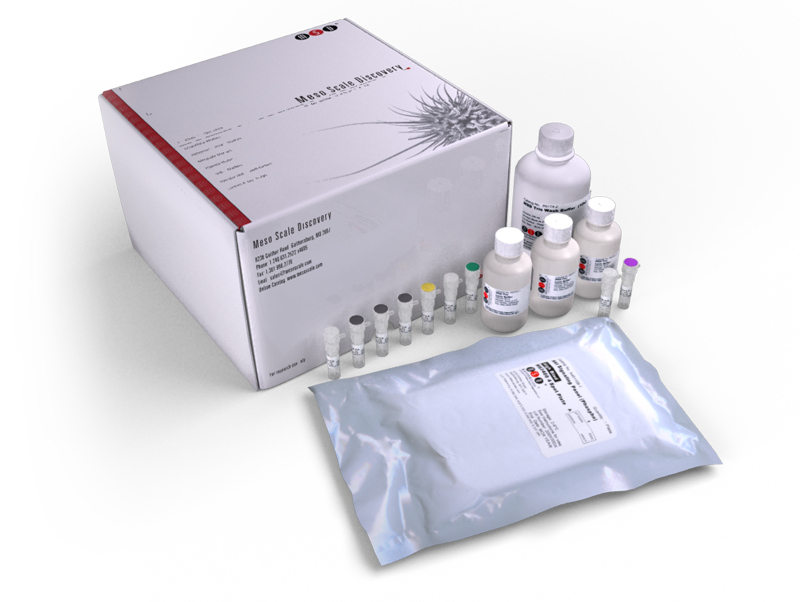 Base kits are most commonly used for high-throughput screening and assay development.